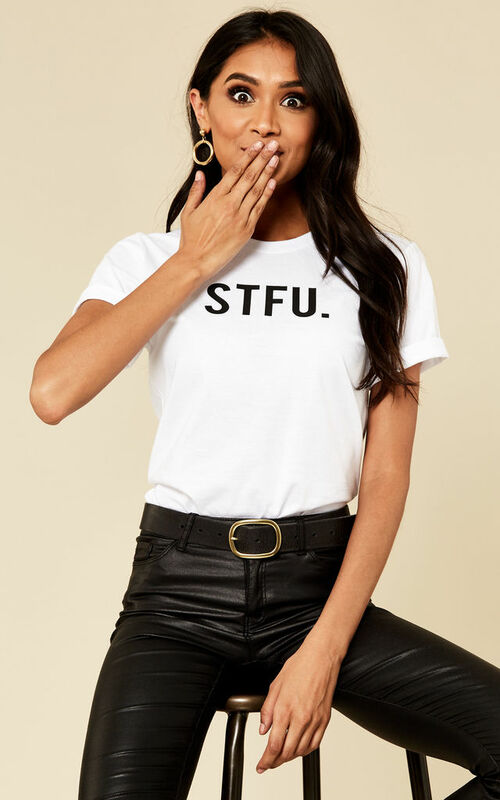 When using your words don't do the trick, let your shirt do the talking. Besides, no one ever died from too much sass. When it comes to styling, an obvious go-to would be paired with jeans, but you can funk this tee up with some high waisted trousers, a leather skirt or some fun embroidery jeans. 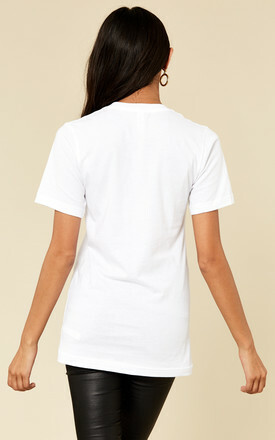 Grab a belt to complete your look, but when it comes to a plain white t like this one, the possibilities are endless.